Bendy Soft Pencils 3-Pack Only $1.69 + FREE Shipping! You are here: Home / Great Deals / Amazon Deals / Bendy Soft Pencils 3-Pack Only $1.69 + FREE Shipping! Here’s a fun deal for the kiddos! 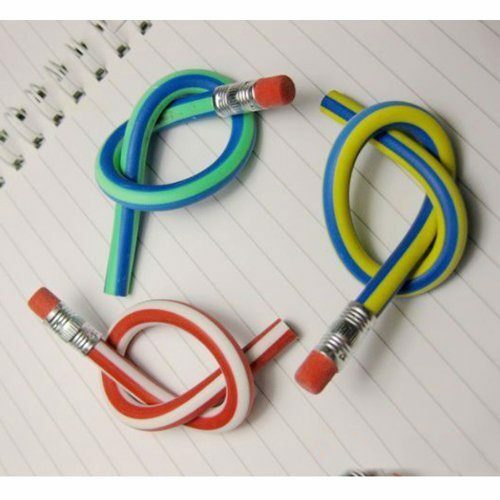 Get a 3-pack of Bendy Soft Pencils for just $1.69 with FREE shipping! I remember loving pencils like this when I was a kid. What kid wouldn’t love pencils that can bend?? I’m grabbing this for my daughter – I know she’ll have a blast with them!